When we resided the house, we also replaced the doors, which was a huge improvement to the curb appeal of our house. We still have a long way to go, a new front porch, a side deck, landscaping, etc. You get the picture; it’s a work in progress. When we bought the doors, I wanted them to be dark. I saw a wonderful picture of a door that looked like oil rubbed bronze with white trim, and it looked so elegant. 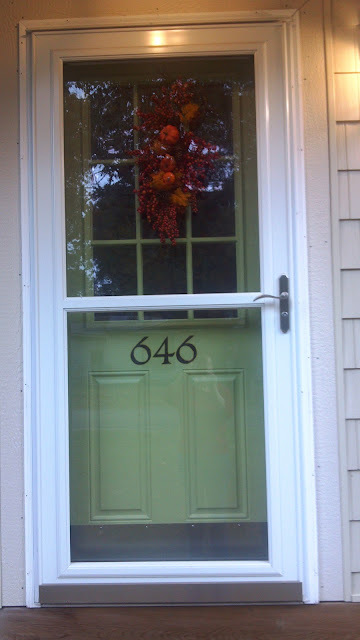 So, before our front door was hung, I carefully painted it a dark oil rubbed bronze color, and it looked great. That is until it was hung. 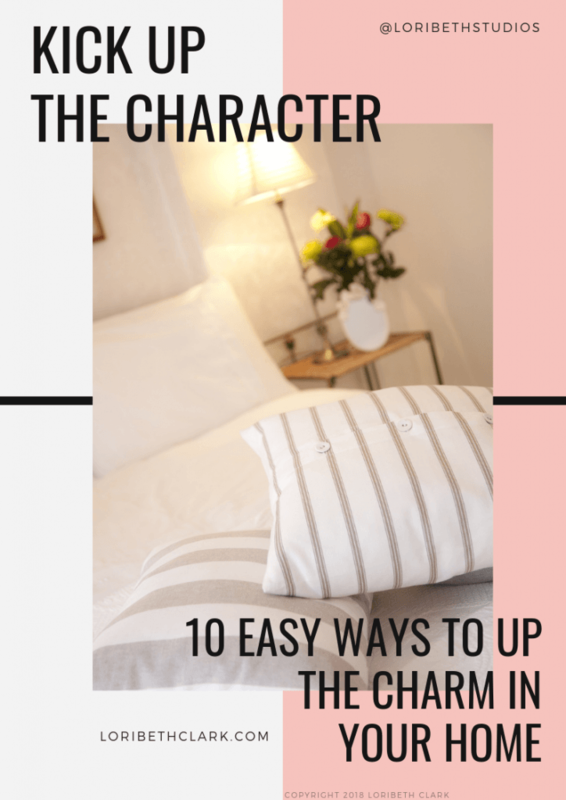 Okay…gotta admit, elegant doesn’t work with our little house. 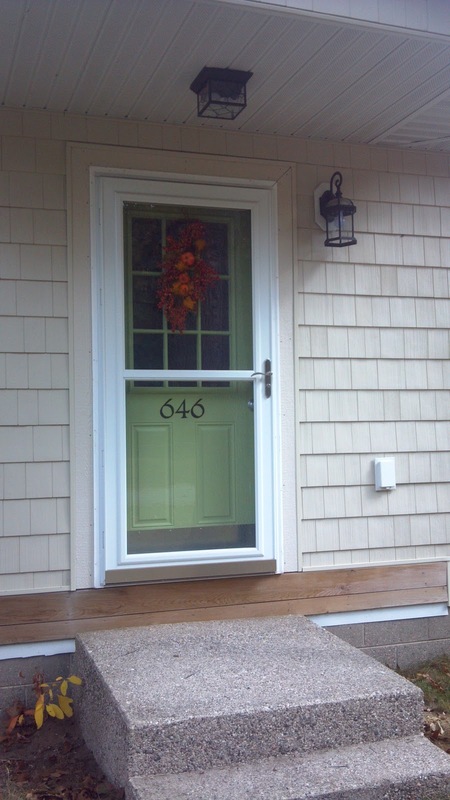 The picture didn’t have a screen/storm door, something we can’t go without. In the picture the door really stood out, but on our house, the dark door made the front entrance look like a black hole–not very inviting at all! See what I mean about a black hole? Her house is similar in color to ours, she has a storm door like we have, and her door doesn’t look like a black hole! I asked Jim what he thought about a green door, and he was good with that, so then I just had to find the right color green. I thought I wanted a clean apple green, because I think that’s such a pretty color. But you know what? When the door was open, the color looked awful in our house, and I realized in the summer we have the door open a lot. Whatever color I chose, it had to look good with the outside and with the inside. That complicated it. I brought home a lot of paint chips in colors I thought I would like. Some where dirty, muted greens, others were bright vibrant greens. I asked Jim what he thought, and he liked the muted greens better, but I was drawn to the vibrant greens. In the end, I decided the muted greens went better inside and outside, so I chose Valspar Olive Garden, and I love it! As you can see, we still have to build the porch, but the door looks so inviting. The Olive Garden color is just so perfect. It’s soft, not jarring, but yet it is still vibrant enough that it’s brightened up the front entrance. The other nice thing about it is it goes with everything. See how nice it looks with my fall wreath? Christmas red decorations are going to look great with it, spring decorations will look great… It’s a color that just blends with nature, and I think that’s what makes it a perfect color. It was temporary, because the paint was craft paint that wasn’t permanent. 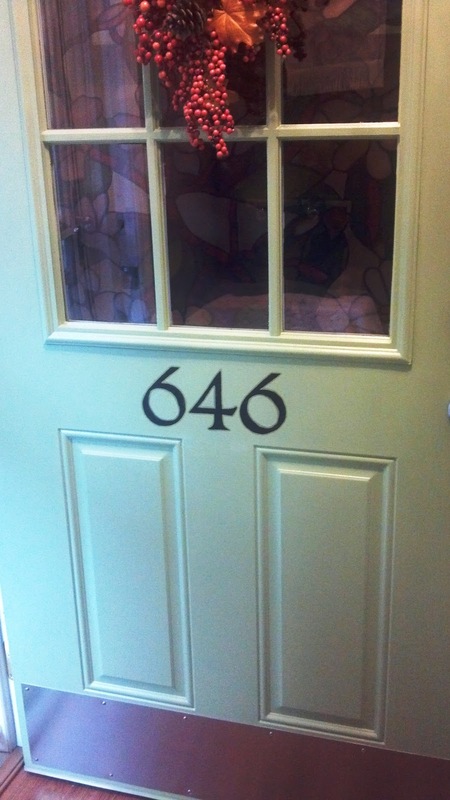 I painted the house number on our door, and let me tell you, that was a challenge. I had to make my own stencil to paint them. I found a font I liked, and printed them in Word. They look cottagy (is that a word?) with a modern twist. Then I had to cut them out. It took a lot of trial and error, but I think the numbers turned out well. 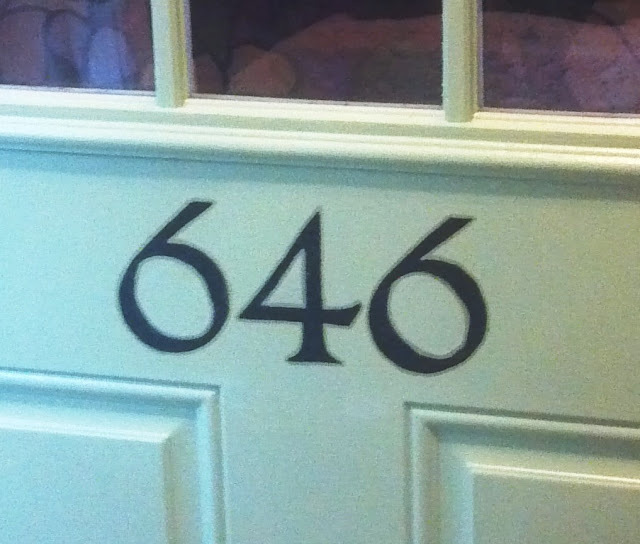 I used the same oil rubbed bronze for the numbers that the door used to be painted. I think it’s a great tie-in with our oil rubbed bronze light fixtures. The final product turned out much better, because I used spray paint instead of craft paint. Another view of the door. Jim really liked the numbers painted on the door. The only issue we have with the placement of the house number is at night, the crossbar of the storm door puts a shadow over the numbers that makes it hard to read them at night. However, I think I have a solution to that, but I haven’t shared it with Jim yet, so I’ll have to wait to share that with you. Have any of you painted your front door? What color did you choose? What do you think I should do with our bedroom?